Animal Wildlife | Ferret | The ferret is a domestic animal thought to be native to Europe. 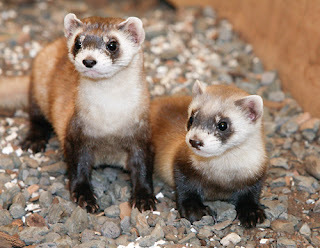 The ferret is thought to be a subspecies of polecat and the ferret has the same long shaped body as a polecat and a weasel. 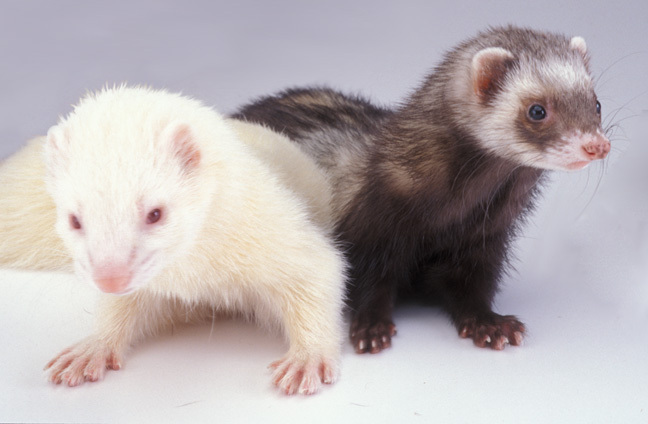 The ferret is thought to have been domesticated around 2,500 years ago, which is roughly the same time that a number of animals such as the donkey and goat were put to domestic use. 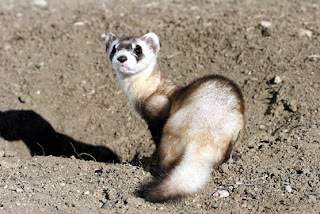 The ferret is used to help farmers hunt out rabbits and the ferret does this by crawling into the rabbit burrows, with the ferret using its incredibly shaped flexible body to its advantage as a ferret is often small than many rabbits. The rabbit is scared out of the burrow by the invading ferret and uses one of the many burrow exits to get away from the ferret intruder. Today the ferret is becoming an increasingly popular pet worldwide, due to the small size of the ferret and its quiet temperament. 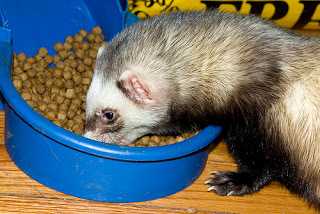 There are laws about ferret restrictions in a number of countries, to try and prevent the ferret from becoming a pest, as ferrets can be fairly destructive if released into the wild particularly if the ferret is not native to the country in question. Most ferrets spend an average of 18 hours asleep every day and it has been noted that ferrets sleep for about six hours at a time before waking up to play and eat and the ferret will generally return it its next sleeping section after an hour or so. 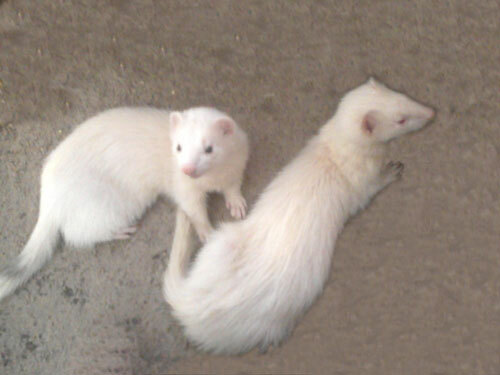 Ferrets have also been observed being most active at dusk and dawn when it is not fully light or dark. Ferrets are renowned for playing their own version of hide and seek, which is particularly noticeable with those ferrets that are kept as pets. Although it is not certain exactly what the ferret will hide, owners have reported finding secret stashes of anything from toys to remote controls and keys, and even bags of of onions and slices of pizza. Ferrets are small carnivorous mammals and therefore a pet ferrets diet should mainly consist of meat. In the wild, ferrets will mainly hunt mice and small rabbits and sometimes, the ferret will be lucky enough to feed on a small bird.